BATTLE FOR WORLD / THE GUARDIAN – November 12, 2018: The article highlights that the Trades Union Congress in Britain concerned over tech being used to control and micromanage employees. Britain’s biggest employer organisation and main trade union body are very concerned and have sounded the alarm over the prospect of British companies implanting staff with microchips to improve security. UK firm BioTeq was established to offer the implants to businesses and individuals, and has already fitted 150 implants in the UK. The tiny microchips, implanted in the flesh between the thumb and forefinger, are similar to those for pets — that have been tested for many years. The implanted chip according to the firm enables people to open their front door, access their office or start their car with a wave of their hand, and can also store medical data. A similar company called Biohax of Sweden, also provides human chip implants the size of a grain of rice. BATTLE FOR WORLD – November 14, 2018: TruNews reports on the microchipping news headlined from the British press. The host brings up bible scripture, the mark of the beast, supporting the subject matter. BATTLE FOR WORLD – December 31, 2018: The Beast (the Anti-Christ) will be the first to call for punishment against those who refuse his mark (i.e. decisions, rules, laws, treaties, etc. 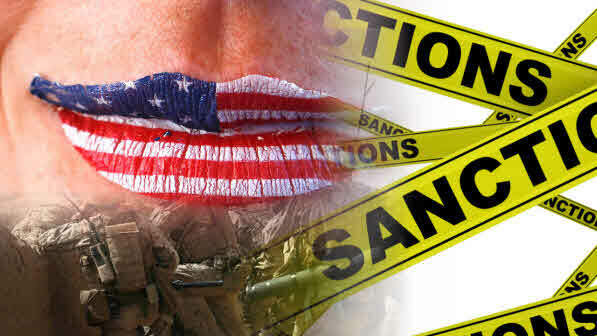 ), with that of sanctions, tariffs, wars, etc. so they cannot buy or sell – trade, because they are refusing the mark, the power of the Beast. The Beast must have his way all the time, because he’s exceptional and is ordained by the Ruling Elites to do whatever he pleases. When the Mark of the Beast is discussed it is generally assigned to the people, which excludes governments, financial workings, treaties with countries, etc. But the mark must always include everything because the movement is the foundation and is working towards an underhanded dictatorship masquerading as something otherwise. It is the Beast Movement that is trying to subdue all – opposing governments and people. 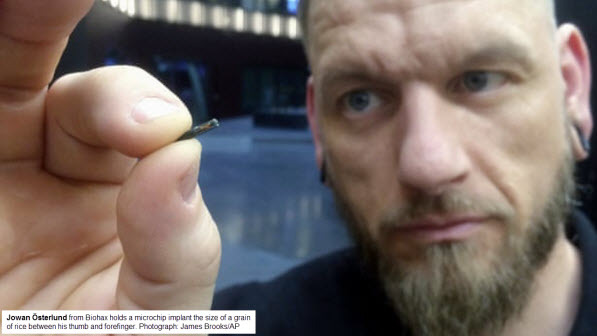 Mandatory Implantation of Microchips in Employees? BATTLE FOR WORLD / CNS NEWS – December 8, 2018: The article highlights the idea of companies forcibly implanting their employees with microchips is making waves in Britain – although the government says it doubts the practice would be legal. In recent years, companies marketing microchip implants have touted them as a convenient shortcut to many routine tasks requiring plastic cards, etc. Employing the same technology used in contactless credit cards, the tiny device is generally implanted in a worker’s hand and can be used for such things as opening doors or turning on devices. Last month (November) a Scottish National Party lawmaker asked the government in an written parliamentary question whether it would take steps to ban the microchipping of employees by their employers. Early this year (2018) a research paper produced for the European Union noted that there were no specific European laws, legal precedents or regulations dealing with microchipping of employees. And according to institute spokeswoman Jenni Field, employees would have to go through minor surgery every few years just to keep pace with technological advances. BATTLE FOR WORLD / YAHOO – November 27, 2018: The article highlights that Elon Musk says humans must merge with machines in order to compete with artificial intelligence. Yahoo Finance’s Julie Hyman, Adam Shapiro, Scott Gamm, and Andy Serwer discuss with BNY Mellon senior investment strategist Liz Young.